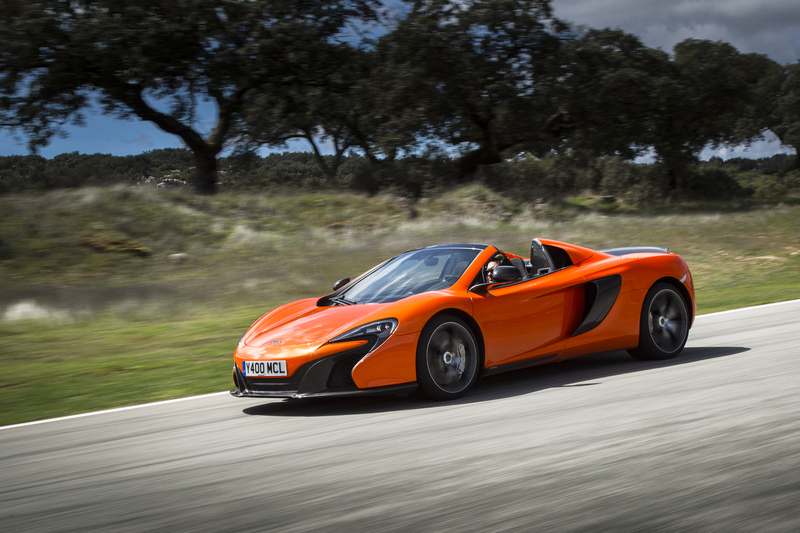 The McLaren 650S is the connoisseur’s supercar. It makes commonplace Ferraris look like high-street imposters, writes Adam Hay-Nicholls. Everyone has their ‘happy place’. Most people think of a tropical island, a postcard pinned to their office wall. I don’t, not any more. Now I have a different reference point for unbridled joy; pulling down the driver’s door of a McLaren 650S, firing its twin-turbo and racing through all seven gears in a breathless, screaming, head-turning sprint. But this is not a dream. I was staying at the most luxurious hotel in Marbella; the Finca Cortesin. In the courtyard of this hacienda awaited my Tarocco orange 650S Spyder, glowing zestily under the Spanish sun. The tooting trumpets and clapping maracas of a bullfight came to mind; an animal in the corner of a ring, the relaxing tinkle of fountains at its centre disrupted by the crackle of a V8. Ole! 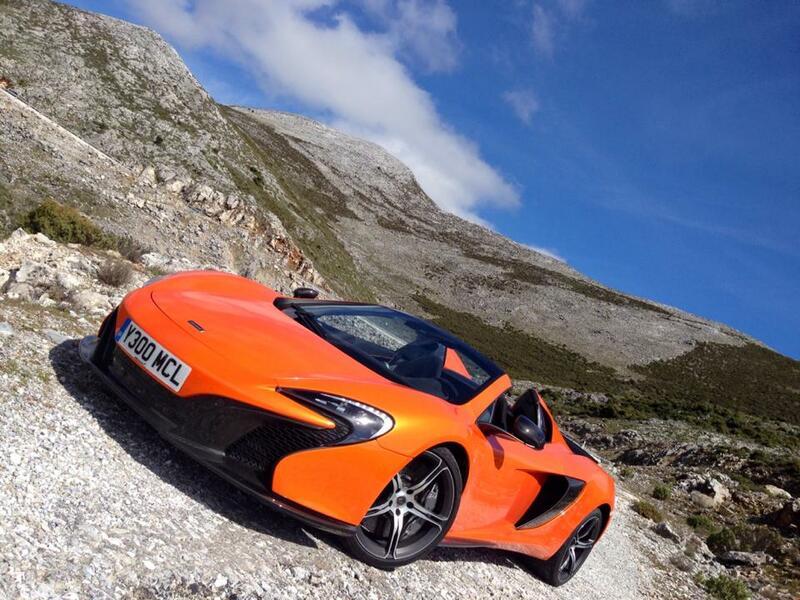 You can have a McLaren in any colour you want, but the standards from the 650S’s swatch book are Fisher Price bold. McLaren’s storied Formula One team has long held a cold, clinical image and, for the past 18 years, its racing cars have all been a corporate shade of silver-grey. It’s refreshing to see its automotive wing embrace the spectrum and have some fun while they’re doing it. The machine’s shape should be enough of a smack to the senses. Add the orange – or a Kermit-like Mantis Green – and it’s a boxing glove dipped in broken glass and vinegar. Onlookers stare like zombies or whoop and cheer as you pass. Other road users swerve across lanes as you fill their mirrors. Those butterfly doors, a throwback to the original McLaren F1 road car, give it an other-worldly sense of occasion. A supercar should look intergalactic. It makes a Ferrari 458 – this car’s chief rival – feel buttoned-up and unsexy. 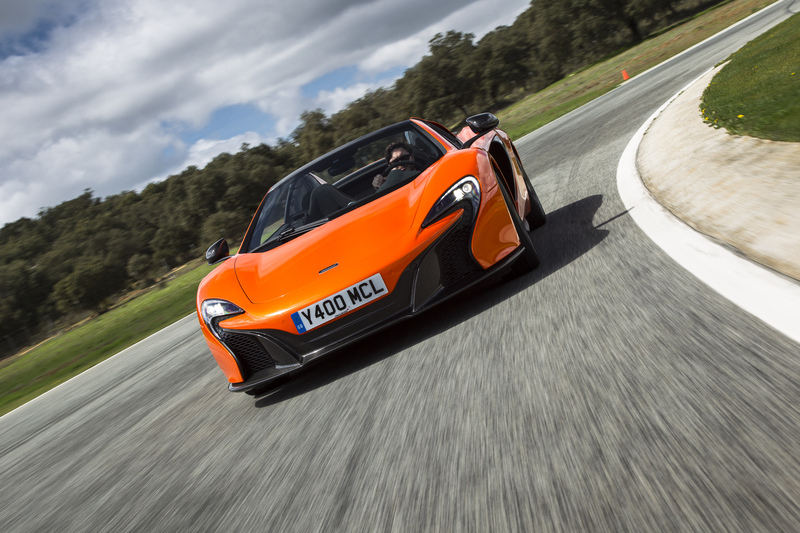 The 650S is the replacement for McLaren’s MP4-12C, which made its debut four years ago. Since then this relatively small and young sports car constructor has cranked out a new model every year, including a 12C Spyder and the incredible verb-splintering P1 hypercar that they unveiled last year. The 650S will be made available in coupe and roadster form from the off. The coupe comes in at £195,000, the spyder £215,000. That’s a little more than the 12C but you get a lot more with it: More power, more downforce, more torque, less weight, and carbon ceramic brakes as standard. In performance terms it trumps the 458 Speciale, Ferrari’s most racy V8 to date. The most immediate change is to the nose. The MP4-12C was an attractive car by any standards but it lacked identity compared to Ferrari, Aston Martin and Lamborghini. Perhaps not surprising, since the competition has been honing their visual identity for many more decades – in Aston’s case a full century. With the P1, as well as creating a technological masterpiece, they also designed a striking frontal architecture that included headlights modeled on the McLaren swoosh logo. This has been inherited by the 650S while the rear remains largely unchanged from the 12C. The front and rear communicates reasonably well but I can’t help wishing they’d brought something all-new to the back. When it was unveiled at the Geneva Motor Show in March there was little shock factor for the automotive press. Yet if you’ve never clapped eyes on a McLaren before it looks utterly awesome. The car wasn’t the only star at the Finca Cortesin that morning though. Having breakfast on the terrace I heard a rich, authoritative, familiar voice between munches of croissant. Could it be? Yes, it was. Sir Patrick Stewart, of Star Trek and X-Men fame, was sat at the next table. How apt – and a total coincidence, no less – that the Next Generation captain of the USS Enterprise should be holidaying at a resort with a car park full of space-aged McLarens. Sir Pat, it turns out, is a speed freak. Despite his 73 years and a garage full of heavy old Jaguars he was eager to ‘engage’ with the 650S at the invitation of a colleague. We swept out of the hotel’s gates and onto the Autoroute, me initially in pursuit and playfully swapping position with the Hollywood actor. Then he nailed the throttle, selecting warp speed, and hit 170mph as he bolted for the horizon. An hour north of Marbella, at the end of some of the most sublime mountain-skirting routes I have ever driven, is the Ascari circuit; a private playground for millionaire boy racers and their toys. Twenty-six turns; tight, sweeping, ascending, descending, the lot. This high-octane ‘resort’ is intentionally devoid of advertising boards; instead it’s peppered with oaks, fig trees, ruined stone buildings and discrete barriers. I steered around the 5.4km circuit feeling for the car’s limits, which are almost endless. The car talks to you through every turn but it never snaps. It is as perfectly balanced as the flavours of a Pierre Gagnaire dessert. Zero to 125mph is a mesmerizing 8.6 seconds – 0.4 faster than the 12C. I don’t recall ever driving anything faster. Alert the U.N. Security Council; this is a Pirelli-shod missile. Through the sweepers the 650S’s 24% extra downforce over the 12C, which is largely thanks to those P1-inspired ducts, could be felt on the neck as well as seen on the stopwatch. Most impressive were the ceramic brakes, aided by an air brake, the carbon spoiler seen in the rearview mirror, which can be angled in ‘active’ dynamic mode and flicks up further like a whale’s tail under heavy braking. The interior comes in a choice of leather with electric seats or Alcantara with manual lightweight buckets. Carbon cuts down the middle facia with a narrow sat-nav screen and dynamic-control switchgear. It all feels very Tron, but also comfortable. Despite stiffer springs that improve cornering, on the open road it feels even more refined than the 12C – which was already a class leader when it came to composure. 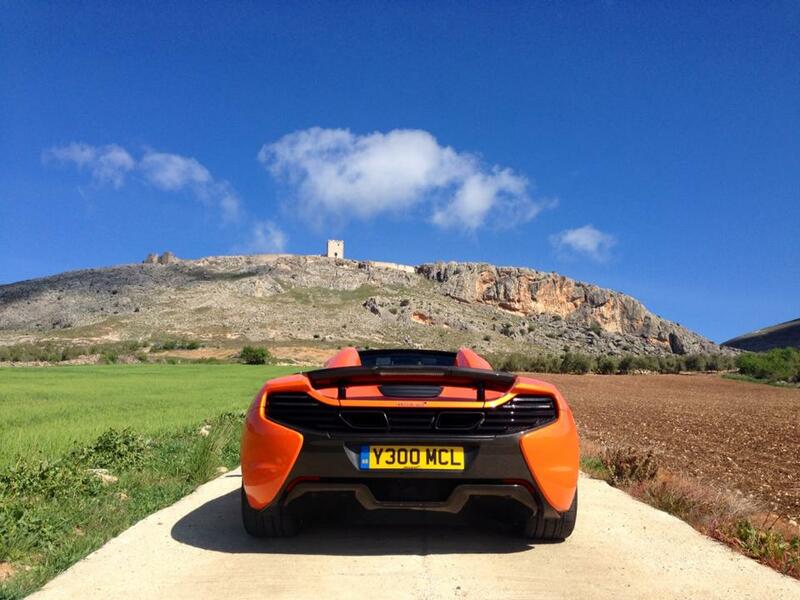 On the twisting Andalusian roads the McLaren pounces with ferocious velocity, darting out of one hairpin into the next, the brakes and pedal feel ensuring the driver’s grin never turns into a grimace. The noise from the V8 behind is best appreciated in the Spyder with the roof up but the separating rear window open, the twin-turbo symphony filling the cabin. It’s a scream rather than a roar like you get from a Ferrari, and to be honest I prefer the latter, but that may be the only thing the 458 has over this sensational piece of engineering. Most people would still prefer a Ferrari, but the McLaren is the connoisseur’s choice. It’s a trendsetter. It has a character of its own – scientific perfection, and with a space suit to match. No wonder Patrick Stewart felt right at home.